JUDO is a Japanese art and competitive Olympic sport that includes the techniques of throwing and grappling, including applications of joint locks and strangle holds. Prearranged attack / defense forms are also practiced. Judo is excellent for self-defense and for overall health as you gain confidence while developing the mind, body, and spirit through exercise and discipline. Also included are philosophical lessons, since the ultimate aim of Judo practice is to improve oneself both physically and mentally in order to better society. Soko Joshi Judo Club was founded by instructor Keiko Fukuda. She was the last surviving student of Dr. Kano, the founder of Judo, until her passing at the age of 99 on February 9, 2013. Her grandfather, a jujitsu master, was Dr. Kano’s first sensei. Fukuda sensei was the highest ranking female judoka in the world (10th Dan). 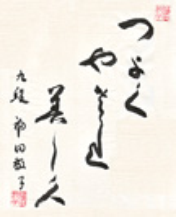 All the club’s current instructors (called sensei) trained extensively under Fukuda sensei and are well-versed in her judo techniques and theory. Head instructor Wilina Monar trained for nearly 20 years with Fukuda sensei. Want to know more? Come observe a class or email your questions to sokojoshi@gmail.com.